Why should I get a document shredder? How much should I spend on a document shredder? What features are available and what is the best document shredder for my type of business? 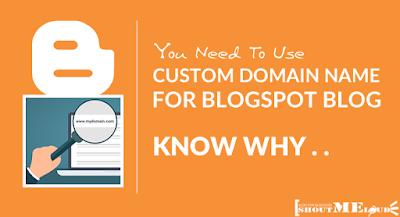 These are some of the questions I will answer for you in this article. First, why should I have a document shredder for my business or for my own personal use? The answer is easy. Every day more crime relating to stolen or found documents is occurring. Fraud, Identity Theft, Corporate Espionage, Con Games, and Forgery are some of the examples of crime that can happen to anyone, any time. The information contained in your documents may not seem like the stuff in spy movies, but the threat to you individually as well as to your business exists. Your documents contain a lot of things you take for granted. Sensitive information about upcoming plans, stock options, and other business related material can be a bonus to thieves. Thieves, to steal your identity, can use your personal information like mother’s maiden name, social security number, credit card and pin numbers, birth date and more. There are many reasons why document security is important. There are other aspects to document security that are important as well, but in this article we will remain on the topic of document shredding. How much you should spend on a document shredder depends on your business. How many documents you need to shred daily, the size of the documents your business uses, how sensitive the information in the documents is, and more are factors to consider when choosing a document shredder. That little desk model document shredder that you saw at the office supply store might not be adequate to your needs. The DOD, (Department of Defense), has standards for the destruction of sensitive documents. This is the top of line for document shredders and probably a bit much for your business. I include this information to show you the wide range of document shredders that are available for your own document security. The largest of these that shreds a high volume of documents into very tiny pieces can run upwards of $20,000. The small ones you see at your office supply store can run as low as $30. One of the features that create this disparity in cost is durability. How many documents can it shred before needing maintenance or a replacement. One made of plastic parts will not last under heavy use, while one made of durable metal will. Obviously, if your company does not shred but a couple of documents per day, a cheaper document shredder might work for you. How secure are the documents you will be shredding. Some document shredders only cut the document into strips of varying width, depending on the document shredder you choose. High-tech thieves can piece together uniformly shredded documents. If the information is worthwhile to them, they can retrieve it. If your company really wants to destroy sensitive documents, you need to consider a document shredder that cuts the paper up into bits, rather than just strips. These document shredders are more expensive, but a lot more secure. Also, some of the better shredders not only shred paper documents, but also CDs, Plastic Film, Key Tape, ID Cards, Video Tapes, Floppy Discs, Microfiche and other classified media. If your company also has sensitive material stored on these other forms of media, you may want to purchase a document shredder that does more. 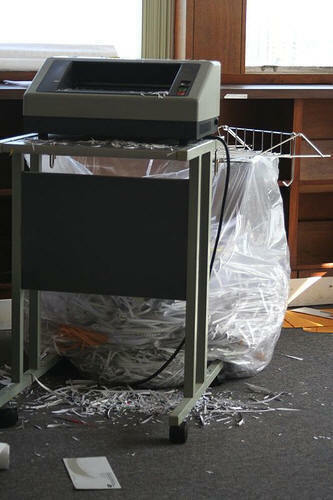 Dust creation is another factor, especially for those who are shredding a high volume of documents and other material. Some document shredders have an internal vacuum to dispose of dust, so if your business does a high volume of document shredding, you may want to ask about this feature. Noise is another factor to consider with any size shredder that you plan to purchase. Try before you buy is a good thing to keep in mind. If it is noisy, you will be happy you tried it out before you started using it in your office. How difficult is it to clear paper jams? How safe is it? Is it easy to put your fingers into the area where the blades are? How easy is it to take apart and clean? These and more are questions you should consider when choosing the document shredder your business will be using.